We keep it pretty simple, just rub with a little salt and pepper on the beef fillet, let sit till room temperature (or close). 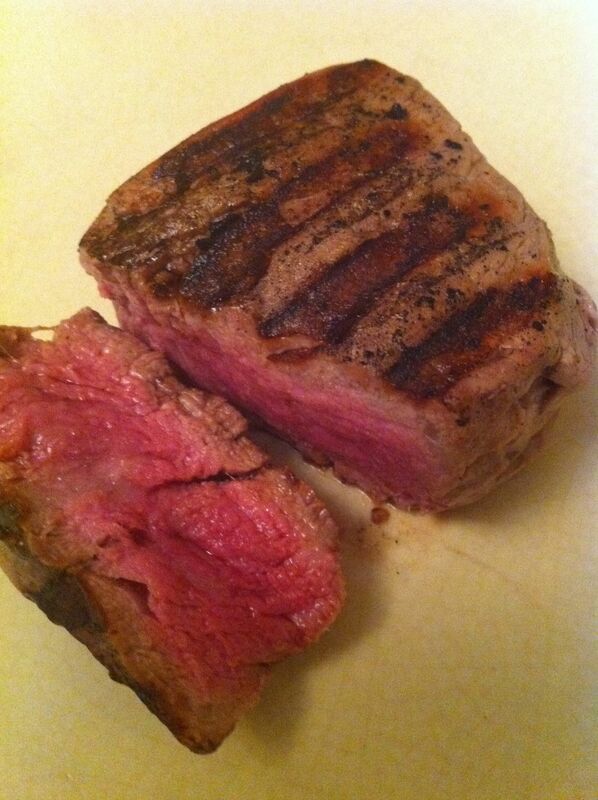 Then put the fillet on a heated grill on medium-high for 3-5 minutes on each side to cook rare or medium rare. Grass-fed beef can be a little tricky to cook because it tends to be tough. It is worth it, though, because the health benefits over grain-fed beef are significant. 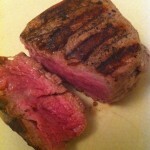 Grass-fed beef is leaner and offers 2-4 times more omega-3 fatty acids (“good fats”). It also is richer in antioxidants including vitamin E, C and beta-carotene. Not to mention that they are usually free of added hormones and antibiotics. The two ways to go are cook it long and low or quick and rare. This entry was posted in Main courses, Recipes and tagged Gluten-free, GRILL. Bookmark the permalink. Both comments and trackbacks are currently closed.